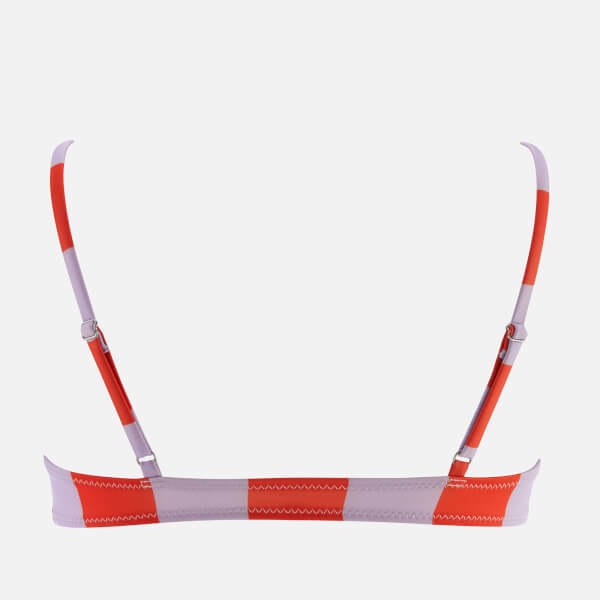 Unpadded, pull-on bikini top by New York swimwear label, Solid & Striped. Crafted from stretch fabric with a lavender and red striped pattern and zigzag stitching throughout. Adjustable spaghetti straps ensure a custom fit. Complete with bust darts and a full lining. Shell: 83% Polyamide, 17% Elastane. Lining: 85% Polyamide, 15% Elastane.